As mentioned in a previous post, intranets could only be managed by technical resources in the old days. This made intranets stale, clunky, and ugly. Technology advances have made intranet configuration easy and updates can go at the speed of business. As a result of, there has been an increase in responsibility and accountability of various intranet site owners. Under a federated ownership model, different parts of the application have different intranet site owners. For example, the overall app administration, the homepage, and the company-wide emails are typically centrally managed by an internal communications role. But various ‘sites’ can be autonomously maintained across the organization. Managing a federated intranet with multiple managers and content contributions isn’t as complicated as it sounds. It’s common for intranets to have a marketing site, an IT site, and so on. Many of these functions should have representation on your governance committee. So either they will be serving as intranet site managers themselves or will work closely with someone on their team to administer this section of the intranet. A lot of intranet content is location-specific, so it’s natural to have office location sites. Here is where you promote location-specific events, benefits information, and compliance documents. Various company workflows deserve their own intranet site and can be managed by the project owner. A classic example of this is the new hire onboarding site, where new employees go to watch their onboarding videos and go through their setup checklists. With the goal of better connecting employees, affinity groups are a great way to get people to engage around a common interest outside of work. So it’s not uncommon for company intranets to have a site dedicated to jogging clubs or ticket exchanges. Typically an employee with interest in the given area is allowed to set up the site and run with it but we still recommend strict monitoring of these sites to prevent them from getting out of control. While distributing intranet ownership has many benefits, it also means organizations need to take special care governing and managing these distributed sites. 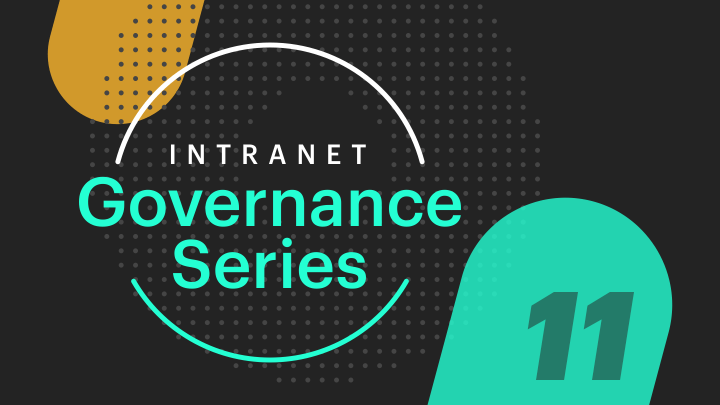 The governance committee should approve what sites get added because organizations need to agree that such sites are appropriate given the intranet’s charter. Many intranets fail because they become content dumping grounds, and you want joint responsibility to keep the platform in order. The full governance committee typically doesn’t actively manage these distributed intranet site managers and content contributors. Instead, it is part of the intranet administrator’s role to review analytics and discuss what’s working across all sites. Best practice is to sit down every quarter with all of the site owners, review engagement data, and agree/track quarterly goals and action plans to improve the site. Again, major challenges should be brought to the governance committee. The central internal communications or intranet administrator team typically works with all of the site managers directly and brings strategic discussions back to the broader Governance Committee. 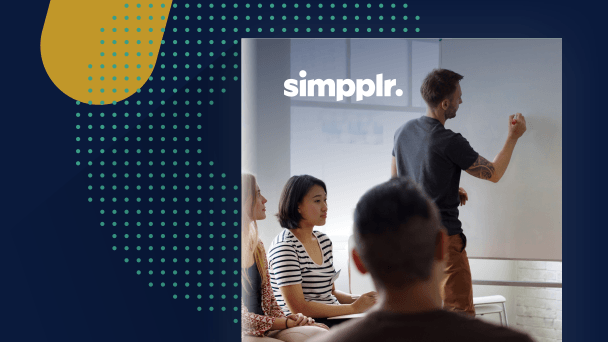 If you’re unclear how the distributed administration model looks within the intranet application, this short Simpplr product demo does a good job explaining various roles within the Simpplr product and how everything can piece together.